SpaceChain is creating a solutions-oriented platform to tackle our greatest challenges. With increasingly complex and difficult global challenges, we need to harness distributed intelligence to find comprehensive solutions. 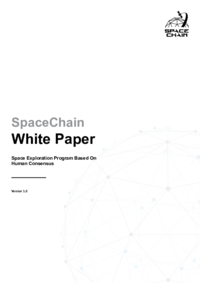 SpaceChain creates an open-source problem solving model that optimizes collective intelligence. SpaceChain will establish enabling conditions that incentivize the community of users, contributors and developers to strengthen the ecosystem.